Eric Holder Says: Go ahead and KICK! Can we talk about the obvious here? Antifa, BLM, Obama’s eight years of setting racial fires in Ferguson, Baltimore, and many other cities…and now he is backing communist Ocasio Cortez? Hillary said that civility is no longer an option just yesterday, she hates the country so much. Only AFTER democrats are elected back into office will she allow civility to resume? Tell me…where was she when a madman blasted bullets into a Republican friendly game of baseball? What if that had been Chuck Schumer that had nearly lost his life? We’d never hear the end of it. Maxine Waters telling everyone to get in conservative faces…Trump supporters getting beat up, chased down the street, bloodied to the point that now the only safe place to express your love of the President is at his rallies. Google, Facebook, and Twitter, all censoring conservatives for merely wanting to preserve the country they love, not the global socialist utopia that THEY want. This morning, while channel surfing, which I tend to do, some book historian on Presidents was claiming that wars bring on mental instability to every President. He then mentioned how LBJ started thinking that communists were behind some of the college protests. The Martin Luther King was talking to communists. Insinuating he was delusional from the ever ending worries of war. History has proven, he was not wrong. Oh…that communist conspiracy! So silly! Hillary was supposed to bring in the “progressive” utopia, and they ALMOST got it. 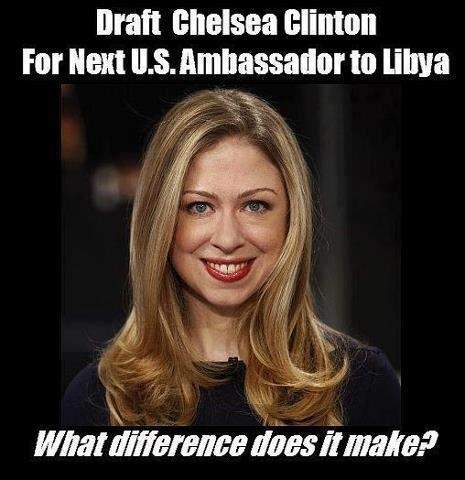 If ONLY we’d get rid of that electoral college…she could run again. Democrats supporting violence didn’t just start this year. It started way back in the 1960s. Can we call all these last years of insanity, a planned takeover by the communists? Have the Chinese and the Russian gotten so far into our political system that because of President Trump, they have to expose their hands? KGB experts have admitted to it. Rand Paul said he fears someone will be assassinated, the democrats are promoting it. Today on the news it was reported that some man was stopped from blowing himself up on election day on the National Mall, because he didn’t like the way the country was going. Robert Redford said much the same thing…but instead of ‘blowing himself up’ he left THAT idea of blowing up the White House to Madonna and said he wasn’t going to ‘act’ anymore. By the way, John Brennan was a communist, just like Obama was. Sometimes you have to call a duck, a duck. The only card they hold now is violence. Eric Holder suggesting that people KICK the conservatives is inciting violence. They have wanted their communists revolution for too many years now, they don’t even THINK they are communists. In the Communists Manifesto the directions are: First socialism, then communism. Our schools, with the help of the democratic party which CONTROLS our schools, have left the younger generation completely ignorant of the evils of communists. Today, a billionaire said it best: He called them….EVIL. Well, it’s not like this hasn’t happen before. And once again, it will be a ‘white’ man who saves us all. Don’t tell them. I won’t if you won’t. Let them be surprised. That thought alone is a REAL kick in the head to any progressive standing. Here’s an oldie but goodie video out of my email bag…just so that we don’t forget Eric Holder and all his crimes. Would Eric Holder Investigate the Vets Deaths If They Were All Black? Attorney General Eric Holder said the Justice Department does not have any plans to investigate the deaths of 40 veterans who were placed on secret waiting lists at a Veterans Affairs hospital in Arizona. “Well, obviously these reports, if they’re true, are unacceptable, and the allegations are being taken very seriously by the administration. 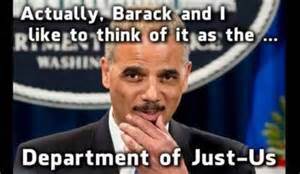 But I don’t have any announcements at this time with regard to anything that the Justice Department is doing,” Holder said at a news conference Tuesday, according to the Daily Mail. In April, CNN reported that long waiting times resulted in the deaths of at least 40 veterans at the Phoenix Veterans Affairs Health Care system, many of whom died while on a secret waiting list whose purpose was to conceal how long patients actually have to wait before being seen by a physician. Obamacare is much worst than the IRS scandal, these men were left to DIE, because the government officials were concealing the fact that they were killing people. Nobody Wonders —-if these vets were black— THEN would Eric Holder investigate? But this is the exact same thing that is going to happen with Obamacare…and the rest of the population. Obamacare means to deny care to the sick, because it benefits the government’s survival. Millions will die, and it’s already written into the law. This is just the beginning of Obama’s holocaust. The news…will not report the deaths that have already occurred because the major news outlets are owned by 4 multinational corporations. And they are on board….it’s all about the bottom line. America doesn’t gas you…no…they just lie and then deny you what you need to live. It’s an abomination. Obamacare is a high crime of population holocaust. So are we going to fight back? Or will Obama the Goldfinger—be allowed to let us all die, sooner rather than later? And today we have seen, in a rare moment of sanity (or changing of the old guard to the ‘We want to get rid of Obama, and set up Hillary.’ mode) CNN, the New York Times, AND the Huffington Post refused to show up along with their rival, FOX NEWS. So, several liberals reporters are siding with FOX. It’s about time: Let’s see how long this lasts. I’m betting…at the most…a week. There is a pattern in all liberal politicians. When caught breaking the law, they are taught to just deny, delay, and ignore. All they have to do is say, “I don’t know, it wasn’t my fault, I wasn’t there, I was not told, I had nothing to do with it, I never met that person…etc.” and nobody puts them away. It’s time all these liberal lawyers turned politicians start getting fired for “not” knowing anything. They are being PAID to know. Here’s an old video where Hillary swears she does not remember a “slum lord” from Chicago. Obviously Bill and Hillary both know this guy. How many times did Bill Clinton say, “I don’t know” during his impeachment testimony? I remember Hillary being questioned about Travelgate, where she said “I don’t remember” about 50 millions times. But– I simply cannot find that video. So, start paying attention to how much they all don’t know. It’s gets them off the hook every single time, and our Congress should stop excepting it as an answer. Here’s a man who gives us all heart…. Congressman Darrell Issa is no fool. Most everyone knows that the Democrats have wanted for years to get rid of our guns. It’s not an easy task, because if there is one country in the world that is heavily armed, it’s America. Fast and Furious was a Marxist ends to a means…which is how the progressives always do everything. In secret. I didn’t know anything about Issa until lately, Heck…who knew that San Diego HAD a republican representative? This video was taken before they slapped a contempt charge on Holder, but if you watch this, you will see Holder do the same thing we saw during the Clinton years…deny, delay, and shred any evidence. The Clinton’s broke so many laws it made your head spin. You will also hear Sheila Jackson do her little dirty work. Okay, Pelosi didn’t say it was keeping people fat. She just hasn’t thought of it yet. So, I’m a new fan of Mr. Issa. We need to elect MORE men like him. The video goes fast…and it gets really good at near the end. Nobody is going to watch it again! While I should be thrilled to hear the ‘President’ make so many references to me in a speech, (cough, cough) even I was surprised when Obama blurted this out…I mean, I had NO idea that he was all for putting people back to work creating energy, and that means that he is going to approve the Keystone pipeline! Yes! Exactly, Mr. President! Why wouldn’t we do that? Just by saying this, how can you possibly refuse to build the Keystone pipeline because it would do exactly what you just said: create jobs, and create energy? Even Slim Pickens got out of the Windmill farms. Let’s go! Nobody Knows how the President can keep on wanting to pour billions of taxpayers’ dollars down failing green energy jobs, because they all fail. Which is why that video is an excellent way to start Mitt’s campaign attacks. But Nobody Thinks, that the blacks around Obama are starting a big “get whitey” campaign motion going to get Obama reelected. Attorney General Eric Holder, the IRS, and the liberal lawyers at the ACLU will brief several hundred pastors in the African American community on how to participate in the presidential election — which the Congressional Black Caucus chair expects will help President Obama’s campaign..
“In fact, we’re going to have the IRS administrator there, we’re going to have the Attorney General Eric Holder there, we’re going to have the lawyers’ organization from around the country, the ACLU — all giving ministers guidance about what they can and cannot do,” he noted. Wait…isn’t that against the Constitution? The government giving ministers “guidance” about what they can and cannot do? We are not paying Eric Holder to “tell” churches what to do, that’s against the Constitution. And if the churches become Obama’s campaigners, they should pay taxes. So, is the IRS being used as a threat? Or to make them all feel protected? What would happen if all the “white” ministers got together and told their members to vote for Mitt Romney, because he’s white? 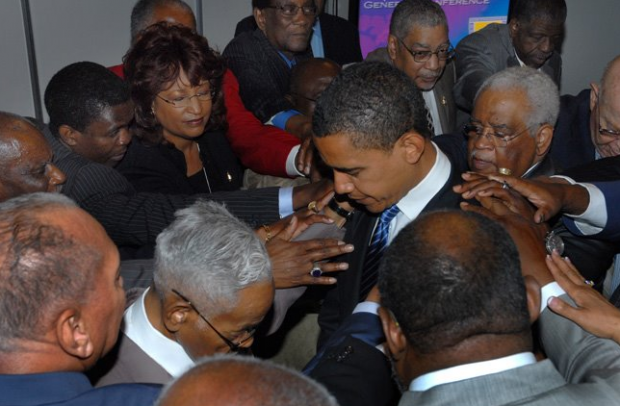 Well, one thing we do know…there isn’t one white politician that is going to say one thing about the insidious actions of the President using black churches to campaign for his reelection. A BLACK politicians could–but nobody knows if they will. The Democrats LOVE to throw up the “Nazi” label to most everyone but themselves, but here we have proof that Eric Holder has taken a page directly out of Joseph Goebel’s bible of propaganda: repeat, repeat, repeat your message, and don’t stop with the propaganda…in fact start with the children. Get them “brainwashed” while they are young. They have to disarm America in order to control it. If Obama gets reelected, there is no doubt that the final push for “gun control” will just be mandated. Notice how tyranny is sold: Whatever they want you do to, it’s for …the good of the people. Hey…communisn 101 comes to America in the form of “Hope and Change.” Whenever you hear Obama say “HE CARES”……that’s you’re cue that more of your freedom will be lost. So what’s the good news? This was made in 1995, which means, Eric is not making much progress…guns are being sold at high levels all over the United States. I can’t wait till this guy is gone as fast and as furious as he came in….can you?